Introversion won’t be doing another update until the end of November, but the team is leaving us with a ton of new content to tide us over. This month’s big addition is dogs, which is a pretty big game-changer. These special guard dogs each have their own handler and are skilled in a way that will streamline prison operations if utilized correctly. Firstly, with guard dogs you will no longer have to blindly guess and hope to find contraband through blind cell searches. If you have higher risk prisoners in a specific area of your prison, you can set guard dogs to patrol that area and sniff the prisoners for contraband. This will give you a greater degree of control over your prisoners’ misbehavior when it comes to smuggling items, and detect if before it’s too late. Additionally, dogs can now detect escape tunnels; if you see many of your dogs acting agitated and scratching at the ground, that is a good indicator that there is an escape tunnel beneath the ground. Again, this is useful because you can now detect the tunnels quite early instead of suddenly finding the tunnel while searching a prisoner’s cell. If a dog detects a prisoner digging beneath it, it will pull the prisoner out of the ground and reveal the entire tunnel. Finally, escaping prisoners now have much more to fear with guard dogs, whose formidable speed will easily trump that of the escapee. Any inmate that attempts to escape on foot will quickly be chased down by the incredibly fast dogs. Of course, such a powerful resource comes at a bit of a management cost, and dogs will need their own area to spend time and sleep. The Kennel room type will add dog crates for the dogs to recharge and heal if needed. Players with huge prisons, lower-end machines or both will welcome the extensive performance optimizations made in this alpha. Primarily, pathfinding has been moved to a separate processor within the game, so that it runs parallel instead of on top of the other components (at least that’s how I understand it). With so many moving parts, including the very complicated pathfinding, this really cleans up the game’s operation under the hood. I have a couple of large prisons, and even on my relatively-good computer the game would chug at times. The overall performance is now a lot smoother, and this, according to Introversion, is going to reflect on better AI. For the most part, this seems to ring true; tasks are executing with greater efficiency and there’s less troublesome buildup with queued tasks. Alpha 14 is getting up there, and with that, Introversion is starting to consider the endgame. 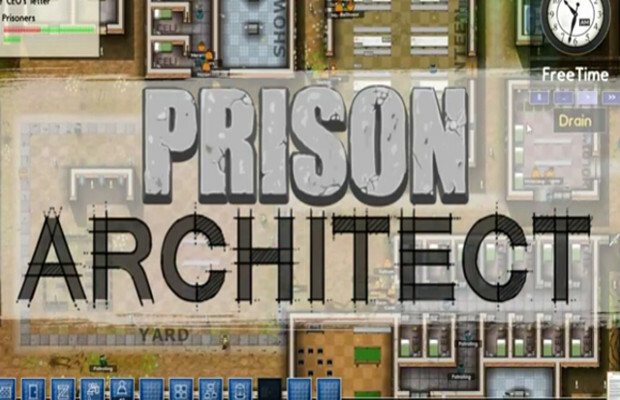 Prison Architect can be an extremely challenging game, and each prison that you build is a learning process on what to do (or what not to do) in the next. Now, you can take a chunk of money with that knowledge as well, as you can now sell you existing prison and use the resulting payout to build a new prison. Of course, the paltry starting capital of $10,000 is hardly the money for a dream prison. But with $500,000 you can begin the ultimate prison right from the start. To tide us over, there are a ton of new tweaks to the game to play around with. For starters, escape tunnels are much less frequent, which should really make things less stressful, and only prisoners with the specific “Clever” trait and specific motivations will want to dig. There are now male and female variations for many of the staff types, as well as variations to body and skin types. Planning mode has been expanded to encompass more options so you don’t build structures and find you misjudged the size of the table. Finally, Delivery and Garbage rooms can now be placed anywhere in the prison, to make planning a bit easier. Other minor technical improvements are also present. While I’ve never had any major technical issues, the game is moving further and further away from a mindset of each alpha breaking something, and more into each new update feeling like a retail product. Be mindful, as well, that this is also handled largely by Chris Delay alone, with a bit of help. That’s pretty darn impressive. Support a talented team and visit Introversion’s website to purchase the game, get in on the alpha and start playing immediately. Come back in two months to find out what Alpha 15 will bring us!